Caress™ OceanPearl™ is a vibrant deep-blue laminate with an appeal that’s enhanced by a soft iridescent metallic sheen. Caress™ OceanPearl™ is an fully-opaque pre-print laminate that is applied to your virgin paperboard. It provides a high-energy surface that is printable with oxy-set offset or U.V. printing inks. The surface is durable, scratch-resistant and scuff-resistant – so it will stand up well to your all print-production and finishing processes – and will offer a long-lasting appeal in the field. 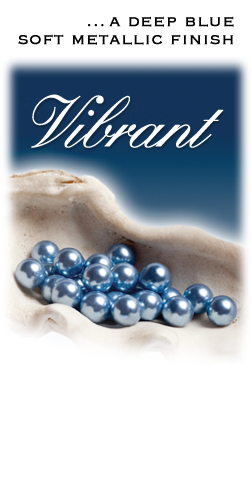 Like the entire Caress™ line, OceanPearl™ is gluable and stampable, and is receptive to Spot UV coatings – ideal for the most demanding print or packaging project.